Think that land surveying and topography and cartography are modern concepts? Think again. Cartography, or map-making, has existed for several thousand years, from cave paintings of stars in France dating to 16,500 BCE to clay tablets in Babylonia (present-day Iraq). Long before Google Earth was snapping our mates at the bus stop, maps were an integral part of human culture. Today we might think of a traditional paper atlas or wooden globe as something to decorate our houses or bookshelves, but maps have first and foremost existed for practical purposes. 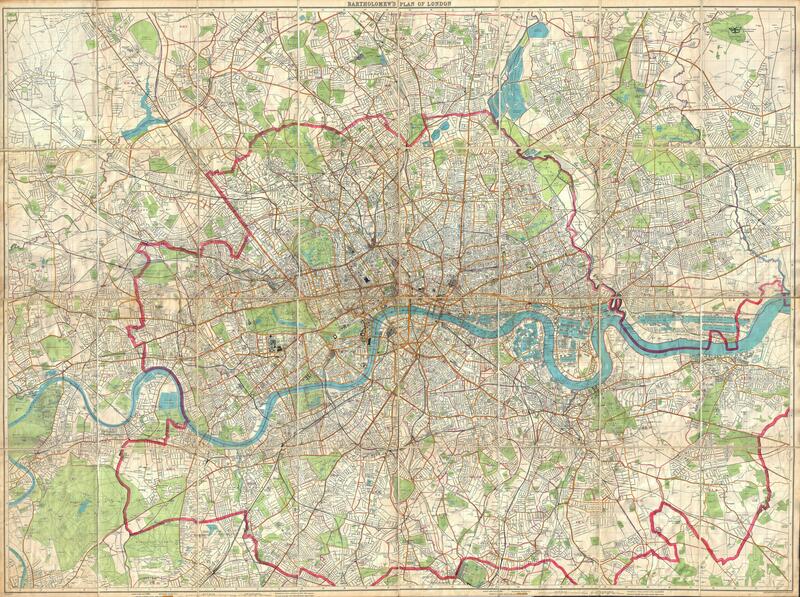 Just take this map, made by the London Fire Brigade in 1899 (credit to http://www.gaubertgenealogy.freeola.org/LondonMaps.html). And who hasn’t pulled up Google Maps on a night out?! Historically, maps have reflected the intent of the people who draw them. The 13th-century map Mappa Mundi, found in Hereford Cathedral, depicts how Medieval Christians viewed the world, with Jerusalem in the middle. In 1973, left-wing historian Arno Peters produced a map depicting countries according to their actual surface area, which distorted them slightly; northern continents appeared far smaller than Africa and South America, which went against the Eurocentric tradition of map-making. Gerardus Mercator, a 16th-century Flemish-German cartographer, tried to mimic the earth’s spherical surface on a flat piece of paper and represented sailing courses as straight lines. His innovation is still used in nautical charts today. Politics has influenced cartography too: during the 15th century, Portugal and Spain divided the ‘new world’ into two, claiming half each. Portuguese cartographer Diego Ribeiro worked for the Spanish crown, and, mindful of who paid him, placed the highly lucrative Moluccas islands inside the Spanish half of his map. Read more about these cartographers at The Atlantic’s 12 Maps That Changed the World, which explores all these maps and their history in more detail. Do you still use paper maps? Do you have an atlas or a globe to chart where you’ve been? We won’t judge if you’ve got a favourite map, promise!